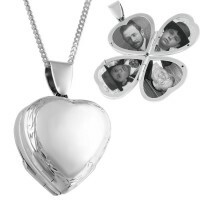 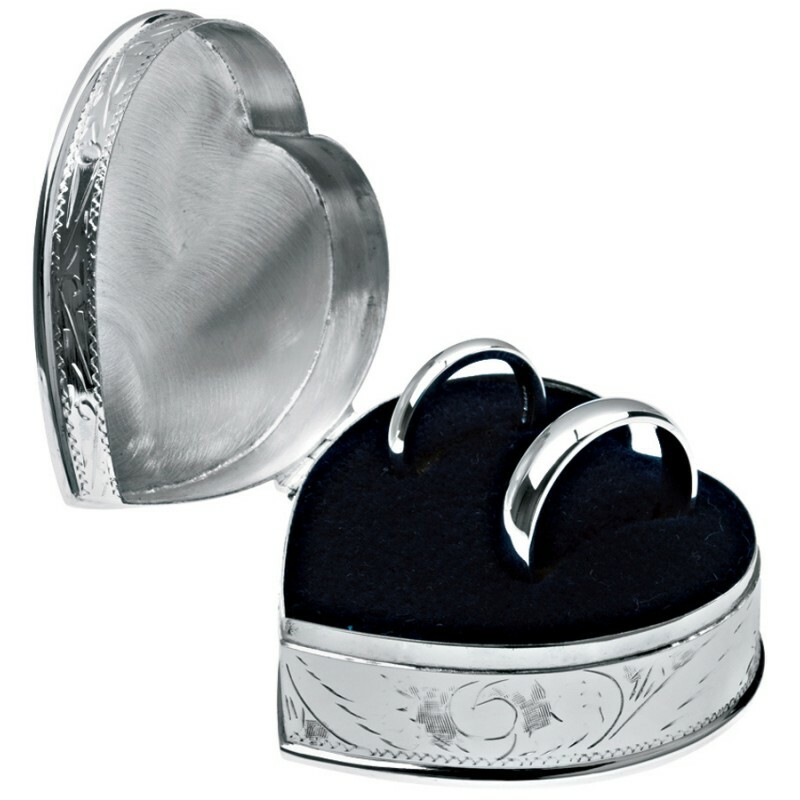 Romantic and a gesture of true love, store your precious wedding and engagement rings in this premium hallmarked sterling silver, engraved heart ring box. Taking its inspiration from the Art Nouveau period and featuring a detailed patterned engraving on the lid, this delicate sterling silver heart shaped ring box is ideal for the important woman in your life. 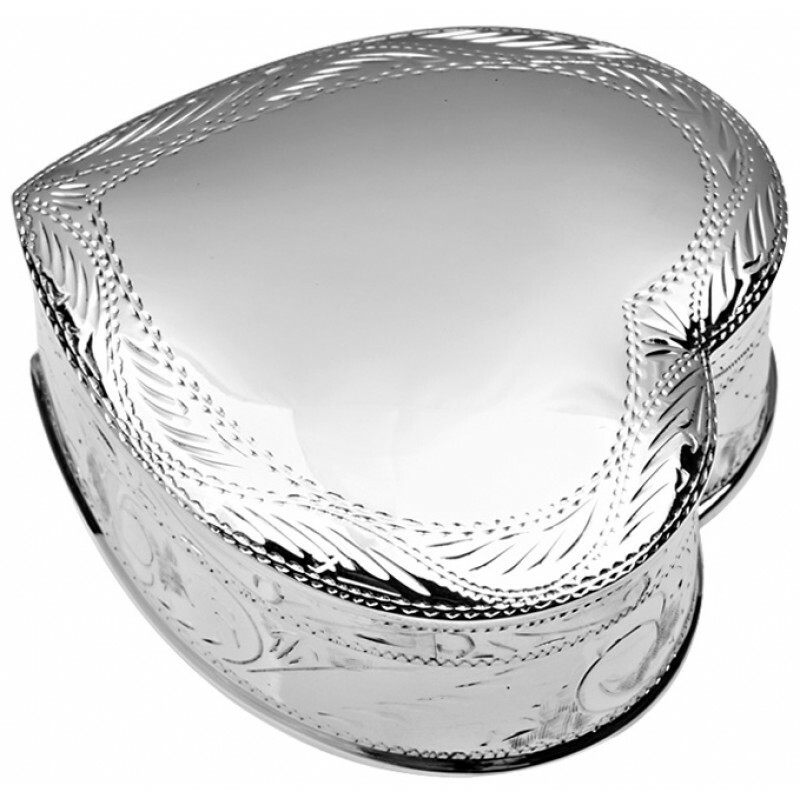 Here at Ari D. Norman, we pride ourselves on producing premium silverware, designed and made in Britain that can be treasured forever. 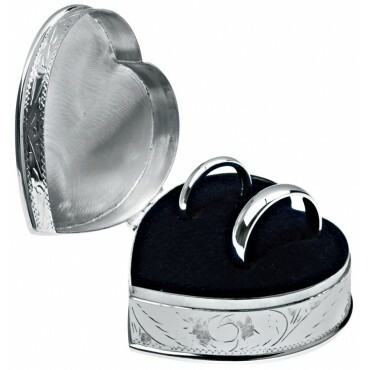 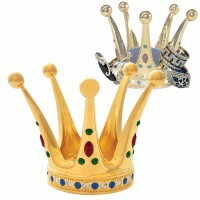 Customise and personalise this stunning heart ring box with our engraving service.